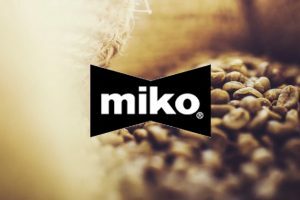 According to the International Coffee Organisation’s latest coffee market report, coffee year 2018-19 is expected to be the second consecutive season of surplus, as global output, estimated at 167.47 million bags, exceeds world consumption, estimated at 165.18 million bags. However, given the stronger growth in demand, the surplus for 2018-19 is projected to be 2.29 million bags, around 1 million bags less than in 2017-18. This excess in supply continues to put downward pressure on prices that will likely continue over the next few months. After a decrease of 1.5%, to 109.59 US cents/lb in November 2018, the monthly average of the ICO composite indicator fell sharply to 100.61 US cents/lb in December 2018. Prices for all group indicators declined in December 2018, with the largest decreases for Brazilian Naturals and Colombian Milds, which fell by 9.9%, to 102.10 US cents/lb and by 8.2%, to 127.86 US cents/lb, respectively. Other Milds decreased by 7.3%, to 127.10 US cents/lb, reducing the differential with Colombian Milds to just 0.76 US cents/lb in December 2018. 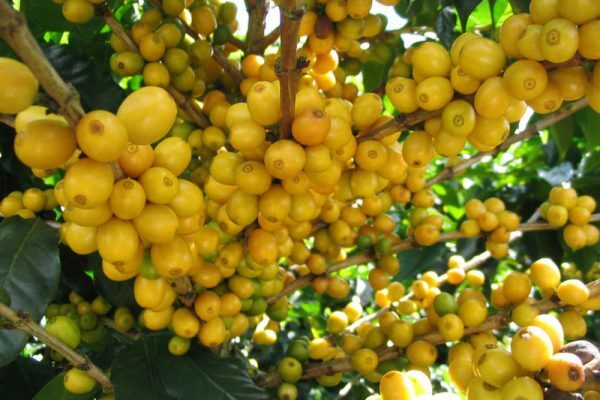 Robusta fell by 7.1%, to 77.57 US cents/lb. The monthly average of the ICO composite indicator fell by 8.2%, to 100.61 US cents/lb in December 2018. The daily composite indicator started at a high of 104.59 US cents/lb and fell to a low of 97.59 US cents/lb on 18 December. After the first week, the daily composite indicator hovered around 100 US cents/lb with a range of around 4 US cents/lb. Coffee year 2018-19 is expected to be in surplus, though smaller than the one in 2017-18, which continues to put pressure on prices. Prices for all group indicators fell sharply in December 2018 compared to the previous month. The largest decreases occurred in the average price for Brazilian Naturals and Colombian Milds, which fell by 9.9%, to 102.10 US cents/lb and by 8.2%, to 127.86 US cents/lb, respectively. Other Milds decreased by 7.3%, to 127.10 US cents/lb, while Robusta fell by 7.1%, to 77.57 US cents/lb. As a result of the larger decrease in the monthly average for Colombia Milds compared to Other Milds, the differential fell by 64.8%, to just 0.76 US cents/lb. In the second half of 2018, Colombia’s currency experienced a greater depreciation against the USD than currencies from countries producing Other Milds, such as Honduras. This contributes significantly to the decline in the differential between Colombian Milds and Other Milds. The average arbitrage in December, as measured on the New York and London futures markets, declined by 13.5%, to 36.20 US cents/lb, which is the second consecutive month of decrease. Further, intra-day volatility of the ICO composite indicator price declined by 1.6 percentage points to 6.9% as the intra-day volatility of all group indicators decreased. World coffee exports reached 9.88 million bags in November 2018, compared with 9.35 million in November 2017, an increase of 5.7%. Exports of all groups, except for Other Milds, increased in November 2018 compared to the same month one year ago. In the first two months of coffee year 2018-19, exports of Arabica increased 13.2%, to 13.84 million bags compared to the same period in 2017-18, with the largest increase in shipments of Brazilian Naturals, which rose by 24.8%, to 7.92 million bags. Colombian Milds grew 2%, to 2.52 million bags, while Other Milds fell by 0.4%, to 3.39 million bags. Exports of Robusta increased by 18.1%, to 7.1 million bags. From October 2017 to September 2018, global coffee production has been revised upwards by 1.5 million bags to 164.99 million bags. World coffee output is preliminarily estimated at 167.47 million bags in coffee year 2018-19, an increase of 1.5% over coffee year 2017-18. Production of Arabica is estimated at 104.01 million bags, up 2.5%, while Robusta production is estimated at 63.5 million bags, down just 0.1% compared to 2017-18. Production in Africa and South America is expected to increase by 1.8%, to 17.8 million bags and 4.3%, to 79.94 million bags, respectively. Output in Asia & Oceania is estimated to fall by 2.1%, to 48.01 million bags, while production in Mexico & Central America is estimated to decrease by 0.5%, to 21.72 million bags. Brazil is to remain the world’s largest coffee producer with output estimated at 58.5 million bags for crop year (April-March) 2019-20. The Secretariat revised its estimate of Brazil’s production in 2018-19 up 1.2 million bags to 61.7 million bags in line with CONAB’s latest estimate. 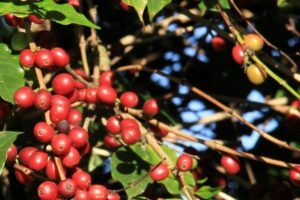 The estimate for global output in coffee year 2018-19 includes a portion of Brazil’s 2018-19 and 2019-20 crop year production. Its exports from April to November 2018 reached 23.39 million bags, 18% higher than the same period in 2017. This is the largest volume shipped in the first eight months of its crop year in the last ten years and supports the higher estimate of production. Vietnam’s production is estimated down 3.4% at 29.5 million bags in 2018-19 as lower level of inputs and poor weather damaged yields. The lower yields are expected to be partially offset by expanded production in newer areas. Vietnam’s output in 2017-18 was revised up 1.04 million bags to 30.54 million bags due to the strong growth in exports in 2017-18. Shipments from Vietnam increased 28.64 million bags, 21.7% above the figure in the previous year. Exports in the first two months of 2018-19 amounted to 4.1 million bags, 32.7% higher than last year, though these shipments also include carryover stock from 2017-18. Colombia’s production is estimated at 14.2 million bags for coffee year 2018-19 following a harvest of 13.82 million bags in 2017-18. Excessive rains and cloudy weather caused the downturn in Colombia’s 2017-18 output and may also have had an impact on the first three months of coffee year 2018-19, with production 6.6% lower at 3.67 million bags compared to the same period last year. However, beneficial weather for the mitaca crop could increase output in the latter half of the year. Colombia’s exports in the first two months of coffee year 2018-19 amounted to 2.3 million bags, which is little changed from 2.28 million bags one year ago. Its exports in November 2018 were 1.24 million bags, 6.7% higher compared to November 2017. In crop year (April/March) 2018-19, Indonesia’s output is estimated at 10.2 million bags, 5.6% less than in 2017-18. Indonesia’s 2018-19 crop has already been harvested and much of its exportable production has reached the international market. Exports in the first eight months of its 2018-19 crop year (April to March) amounted to 3.36 million bags, 44.4% lower than 2017-18 and 25.2% lower than 2016-17. The rise in Indonesia’s domestic consumption has led to lower exports, but also indicates a reduction in its harvest. Ethiopia’s output in 2018-19 is estimated at 7.5 million, up 0.6% from 2017-18. After declining in two consecutive seasons, 2011-12 and 2012-13, production in Ethiopia has grown steadily. Further growth is limited by poor management, ageing trees, erratic weather. Its exports the second month of coffee year 2018-19 were 17.6% lower than in November 2017, reaching 233,458 bags. However, this follows increased exports in October 2018, bringing total exports in the first two months of 2018-19 to 597,160, an increase of 6.6% compared to last year. Production in Honduras is estimated 1.5% lower at 7.45 million bags, following four consecutive seasons of growth. Rising costs, particularly labour, and an environment of low prices has limited further growth in Honduras. In November 2018, shipments from Honduras were 31.2% lower at 113,896 bags compared to November 2017. Combined with October, total exports from Honduras in the first two months of 2018-19 were 214,950 bags, down 1.2% compared to 2017-18. Excessive rains and flooding impacted India’s 2018-19 harvest, which is estimated down 10.5%, to 5.2 million bags. This reduction in its output is seen in shipment data for the first two months of 2018-19, which reached 0.82 million bags compared to 1.01 million bags in 2017-18. India’s November exports decreased 35.4%, to 365,163 bags compared to November 2017. World consumption is estimated at 165.19 million bags in 2018-19, an increase of 2.1% compared to 2017-18. Domestic consumption in exporting countries is estimated to increase by 1.4%, to 50.3 million bags. Consumption in importing countries is estimated to rise by 2.5%, to 114.88 million bags. Demand from non-traditional importing countries continues to grow, accounting for around 18% of global consumption in 2018-19. Both African and Asia & Oceania are estimated to increase consumption by 4.1%, to 12.23 million bags and 36.25 million bags, respectively. These regions are seeing demand increase in some producing countries as well as in newer markets in importing countries. 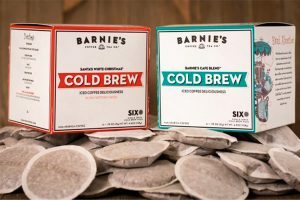 Demand in the more traditional markets in Europe and North America is estimated to grow by 1%, to 53.51 million bags and by 2.5%, to 30.73 million bags respectively. Consumption in South America is estimated to rise by 0.9%, to 27.22 million bags, while in Central America & Mexico, it is estimated to remain stable at 5.23 million bags. Due to the revision to the 2017-18 production figures made by the Secretariat, since the October Coffee Market Report, the global surplus for 2017-18 has increased to 3.28 million bags. In 2018-19, world production is expected to exceed consumption by 2.29 million bags. Although the surplus is expected to decline in 2018-19, two years of surplus will weigh heavily on prices for the near future. For more information, visit: www.ico.org.